And now…the countdown continues. A new wrinkle this time around with a countdown within the countdown as I rate my all-time favorites from one of the artists. 4. 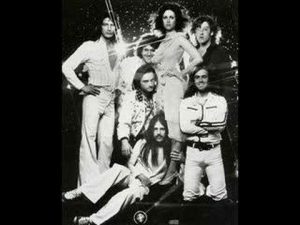 Count on Me – Jefferson Starship (1978) – Hey, what do you know? I guess you can count on me for another love song in the countdown. Number two on my Top 10 list from the various incarnations of the band. A list dominated by the 1975-79 time frame, a period between an Airplane and a simple Starship. 3. 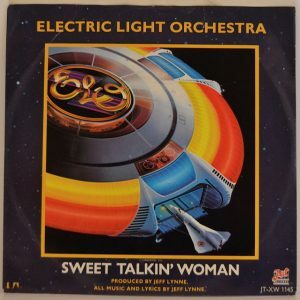 Sweet Talkin’ Woman – ELO (1978) – Among my favorite bands and fun to discover some themes in my favorite tunes. Unique instrumentation, another batch of call and response along with a pattern of dropping a “g” for some bad grammar. You know, searchin’, hopin’, waitin’, runnin’, talkin’… I kind of like to use that trick in my writin’ too. At any rate, a true audio treat. 2. 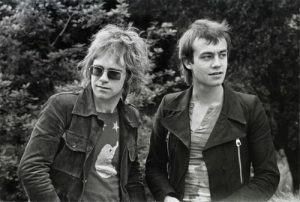 Tiny Dancer – Elton John (1972) – Sir Elton and his buddy, Bernie Taupin, picking up steam, just nailing it with a battery of killer cuts and the rest is prolific pop music history. Got a great “Old Grey Whistle Test” 1971 performance of this one on DVD, just a guy and his piano doing it up right before the over the top theatrics, which were also a wacky bit of fun. And admittedly a sucker for the “Almost Famous” sing-along scene (got it on DVD too). 1. 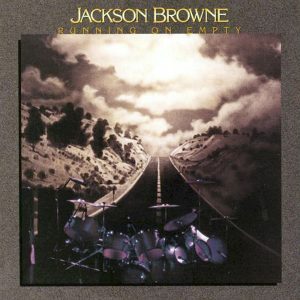 Running On Empty – Jackson Browne (1978) – Bucking for my favorite song of all-time, how did Browne write this before he even turned 30? What a gift to write something about a place in time or state of mind that not only strikes a chord with a listener but will remain relevant, well, forever. And I’ve long dug that wistful, nostalgic slide guitar amidst the driving beat to add to my interpretation of this song. A song that speaks to me a little more with each passing year. “Looking out at the road rushing under my wheels…” Keeps moving faster all the time. Until next time, I hope this tangent may prompt a few to revisit the radio, dust off the music collection or surf in search of an oldie but goodie.